Back to School Health Fair G.A. 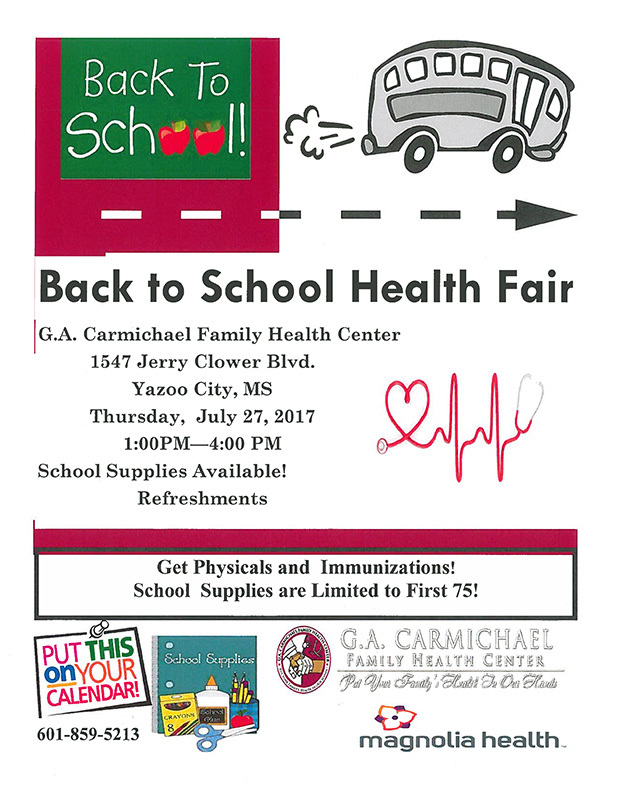 Carmichael Family Health Center will host a Back to School Health Fair on Thursday, July 27, 2017, from 1 PM to 4 PM at 1547 Jerry Clower Blvd, in Yazoo City, Mississippi. School supplies and refreshments will be available!